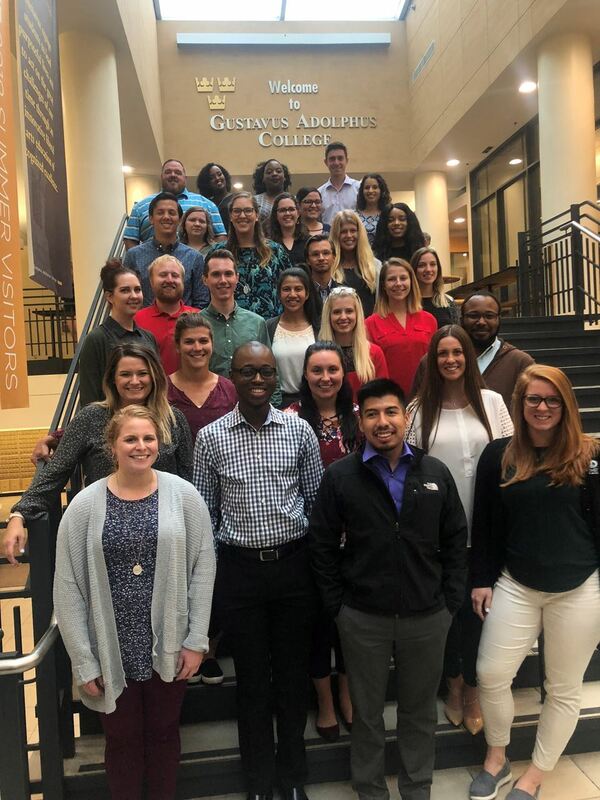 MACAC's 2018 Admission Counselor Institute (ACI) hosts eager professionals from 2 and 4 year colleges from every corner of Minnesota and some of Wisconsin. Throughout the two days, these professionals engage and question topics on financial aid, communicating with high school aged counselors, working with diverse student populations, uncomfortable conversation, and more. In addition to the in-depth session topics, they are able to network with other newer professionals working in higher education. ACI is a professional development opportunity for professionals from 2 or 4 year colleges with less than 1 year of experience. The Professional Development committee recognizes the intense training their home institutions offer, so this is a supplement to that training, touching on and reinforcing their training as well as providing them with tools and resources to ensure a successful first or second year of recruitment. The registration fee is $275 and includes five meals, one night double-occupancy air-conditioned campus housing, social events and all programming functions. For an additional $50, registrants may arrive on Sunday night. You do not need to be a MACAC Member to register.